Yesterday, China’s Parliament adopted new cyber security laws which the Communist Party claims are intended to tackle terrorism and cyber crime, but which critics believe are targeted at foreign businesses and further undermining individual freedoms. The new law, which will not actually come into effect until June of next year, were passed by the Chinese Parliament; a legislative body largely intended to approve Communist Party policies. The new powers, which we have discussed before, include invasive state review powers over companies online security provisions and also a requirement for all data about Chinese citizens to be held domestically, and a requirement for them to provide “technical support” to Chinese security agencies. This last provision, of course, means that they must hand over any data requested from them, but some businesses fear it could pose a risk to their intellectual copyright or lead to a requirement to compromise security to facilitate Chinese security access. China has a long track record of protectionism and has also frequently been accused of stealing and copying ideas from international businesses. Communist Party officials have insisted that the new laws will not impact on foreign business operations in China, but that hasn’t stopped in excess of 40 global business interest groups from petitioning the Chinese Premier, Li Keqiang, to make amendments to the laws. In their petition, they described the new laws as ‘unworkable” and argued that they would only serve to drive overseas investment out of China. The chairman of the American Chamber of Commerce in China, James Zimmerman has described the new laws as ““vague, ambiguous, and subject to broad interpretation by regulatory authorities”. Meanwhile, human rights groups have also attacked clauses in the new bill which will allow Chinese authorities to decrypt online messages stored by ISPs and other companies. This data, along with a raft of other online content, will now also be admissible in court. Criminalising online activity in such a way has been strongly condemned by human rights organisations. Human Rights Watch said in a statement that the new laws would “damage national unity” and further restrict online freedoms; a statement carefully worded to appeal to China’s national identity. As is so often the case in China, these criticisms have fallen on deaf ears and all of the controversial clauses in the Bill remained in the final draft. 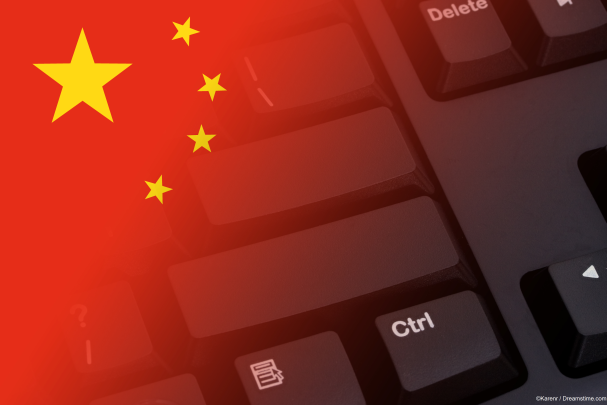 In recent times China has begun advocating the idea of national sovereignty on the internet and laws such as this only serve to sure up their control of the domestic internet. It is the latest in a long line of steps the Communist regime has been taking in China to tighten internet controls. It also fits into a broader political pattern, which has seen current President Xi Jinping shoring up his increasingly authoritarian position at the top of the Communist Party. However, it also comes at the same time as US-based researchers who have been looking into Chinese online censorship have found that it is wildly inconsistent across different platforms. According to a report in the Wall Street Journal, who have been examining Chinese video apps. They found that while all the apps had lists of banned keywords to remove potentially controversial content. They found that these lists, which amount to some 17,000 words and included 2,000 new words added in the last year alone; the list varied wildly between different apps. The difference was in part due to where in China they were being used and what demographic they were targeting. For example, one app, called YY, banned discussion of the theft of manhole covers in Henan province but permitted references to the Dalai Lama and drugs such as Ecstasy. What this tells us is that while Chinese censorship permeates every aspect of online life in China, it is not as centrally controlled as we might have thought. Whether this will change in the coming months and years as Xi Jinping’s online crackdown continues, remains to be seen. But even though it is not so centralised, online freedoms are still hugely curtailed across China, and only by using a VPN, are Chinese citizens able to access an uncensored and uncontrolled internet. The news laws approved this week suggest this is unlikely to change anytime soon.